It is recognized that practice is the key to success in any discipline. We suggest 10% theory and 90% practice. It’s also known that group practice enhances the pleasure of playing compared to individual practice. And where’s the best place to practice in a group? Yes, you guessed it ... a chess club! Whether you're a beginner or advanced, the Chess Club is the ideal place to develop your game with other people who share your passion. Your trainer will provide you with sound personal advice, theory and a lot of practice against different players, all on a regular basis. 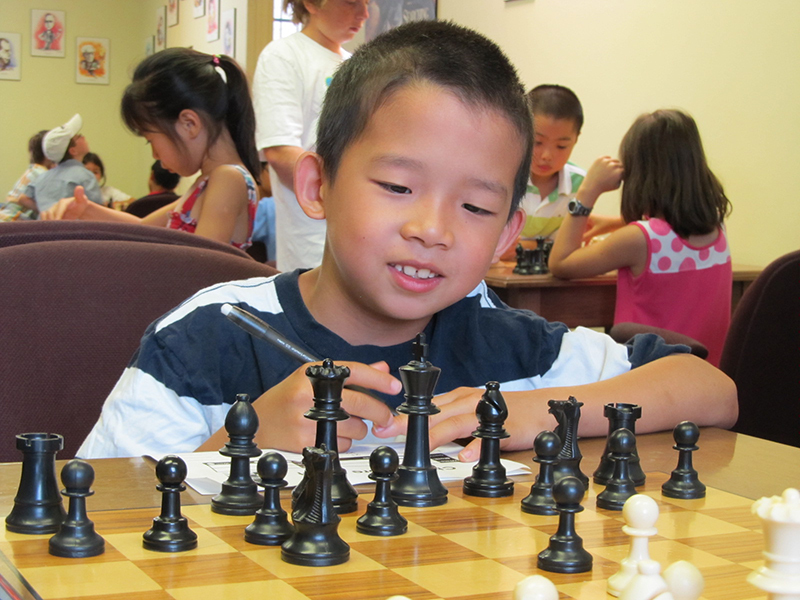 You’d like to participate in school chess tournaments but don’t know if you're ready? The Chess Club is a good stepping stone. Your coach, by following your progress, will tell you when it’s the right time to participate. If you want to improve your level of play with quality players and under the supervision of a coach, the Chess Club is for you!